Essential oils are more than nice scents, these powerful plant extracts can help us feel better inside and out. I’ve been casually using essential oils for several years, but decided to get more serious during my third pregnancy when I experienced first hand the benefits of using these therapeutic grade oils. During pregnancy, I used Frankincense on my expanding belly and on my perineum in the last few weeks leading up to birthing. During labor, I used Valor and Joy. 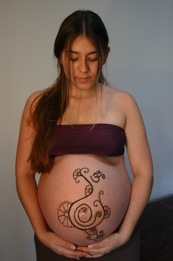 In the first few days postpartum, I used Frankincense for baby and Thieves for the placenta as we chose to Lotus birth. Today, I continue to use the oils regularly for my baby, my older children and myself. I also carry them with me to births I am doulaing for as tools during labor. I recommend using Young Living essential oils because they are the purest and best quality you’ll find. The vast majority of other essential oils are extracted using high heat, high pressure, and chemical solvents. Although the final product may still contain the aroma of the plant, these harsh processing methods destroy the therapeutic qualities of the oils. Using lesser-quality oils for therapeutic purposes is never recommended and can be extremely toxic. Another problem with other brands is that there are currently no standards when it comes to labeling a bottle of essential oil. If a bottle of oil contains just 5% essential oil, by law it can be labeled as 100% Pure Essential Oil! So if you see labels like ‘Organic’, ’100% Pure’, or ‘All Natural’ on a bottle of oil at the health food store, you still have no way of knowing the quality of the oil unless you know the essential oil company itself. As I researched Young Living as a company, I was impressed by their quality (above organic) and seed to seal process. They source out the purest farms or create them themselves; they weed by hand; they use their own oils for pest control; and they gently distill their oils without chemicals. They also rigorously test their final product both in-house and by a third party to meet therapeutic standards. Plants and their oils are powerful yet delicate in nature. By using Young Living, I know that the plant’s “living energy” is in every bottle. Their essential oils are 100% therapeutic grade, effective and safe. I am convinced there is a significant difference in the quality and properties of Young Living oils compared to other brands. Also, of all the oil companies out there, I found that Young Living has the best and most affordable starter kits. They make it easy for a newbie to get started! Wouldn’t it be great to know you had a choice when someone in your home was sick or hurt? Rather than reaching for over-the-counter drugs with all their side effects and warnings, what if you could provide a natural, safe, effective alternative? With essential oils, you can! 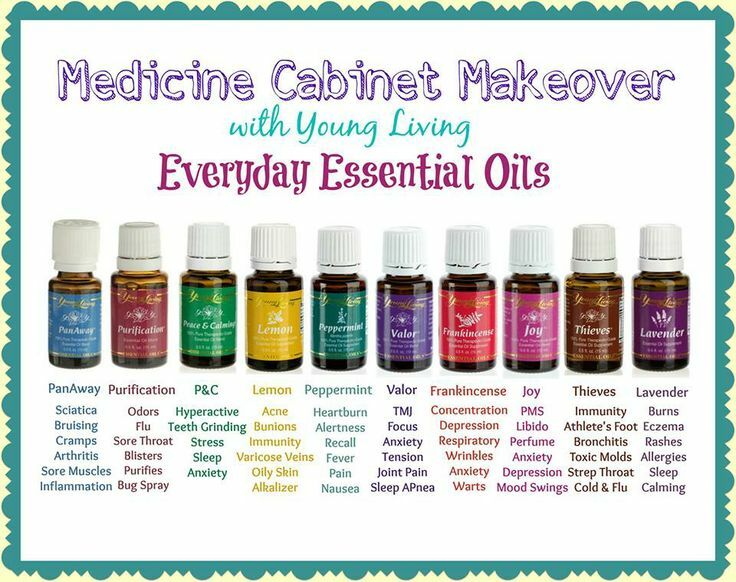 If you would like to make the switch to a more natural medicine cabinet, I would HANDS DOWN recommend the Premium Starter Kit. Take a look at the chart below showing all the oils in this kit and some of their common uses. Want to try Young Living? I highly recommend joining as a Member, even if you’re a beginner. As a Member, you get access to the Premium Starter Kit, and an amazing 24% discount off every product you order! There are no tricks or gimmicks, no automatic charges to your credit card, etc. The best part is you don’t need to “sell” oils to be part of this! For Members there is no requirement to sell or spend a certain amount. Just enjoy lower prices on the oils for your family! What exactly is the Premium Kit? Select the “ Member” box on the left. Then select your county and language. Under Who introduced you to YL, you should see my ID 1737907 already filled in the Enroller ID and Sponsor ID, click continue. Next choose which starter kit you want to get. They are all have the same oils and samples but each has a different kind of diffuser. Step 2 is the Essential Rewards program which is optional so only choose this option if you want to sign up for a monthly order and earn reward points. Select next on step 3 to continue your enrollment. Fill out your information, create your password and pin which you will use to log in to your account and order your oils, and commission field since Young Living has the potential to pay you commissions for members you enroll. Agree to Terms & Conditions and click on continue. Complete your shipping and payment information and CONFIRM YOUR ORDER. Many miss this last step and end up not fully checking out. Checkout! That wasn’t too hard was it? Wait for your order to arrive and ENJOY the wonderful benefits of using these amazing essential oils! To view Young Living’s entire product catalog with member and retail prices, you can find the online edition here.